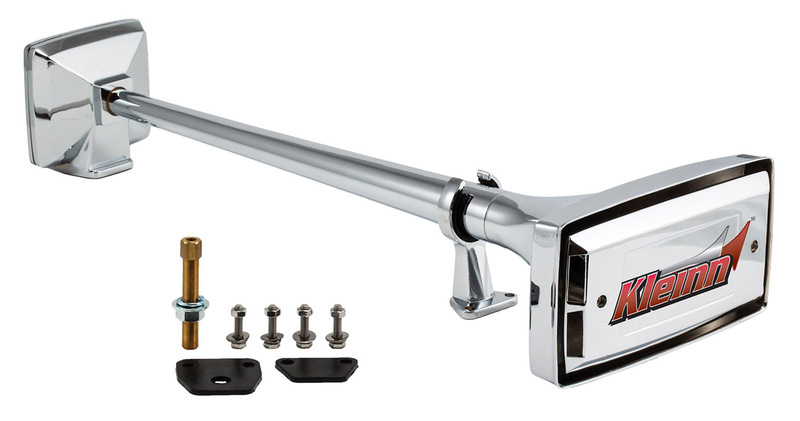 25-inch chrome-plated, zinc allow single roof mount horn features square trumpet design with integrated end covers for severe road conditions. Front support and fittings for through-the roof installation are included. A solenoid or manual valve is required for installation but is not included.